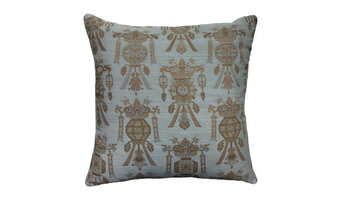 Norbert's Glass & Mirror, Co.
Pillows by Dezign designs, fabricates, and supplies high-end decorative pillows to all realms of the interior design industry; everything from FF&E and OS&E procurement agents and purchasing managers, to interior design firms and independent interior designers. We have relationships with all the high-end fabric dealers in The Mart in LA and the Merchandise Mart in Chicago. We also regularly obtain fabrics from all regions globally, so we can literally can get ANY fabric for your design project. What does this mean for you? Aside from what is pre-fabricated and sold in our shop here on Houzz, we also provide quotes for pillows using any fabric you'd like, and WE purchase the fabrics, not you. So, you are quoted finished product All pillows presented in our shop here on Houzz are at extremely low prices given the cost of these fabrics per yard. Please feel free to email at any time with questions you may have. Residential and Small Scale Commercial Masonry Services. 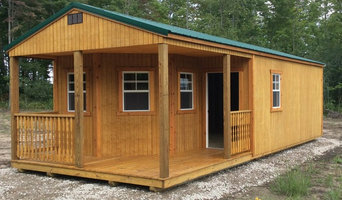 We offer a fine selection of portable sheds, cabins, workshops, and garages. Our carpenters love Michigan weather, and that means quality construction is guaranteed with every delivery. We look forward to serving you! Surface Saver llc specializes is countertop repairs to existing counters and surfaces. We repair scratches, chips, cracks, finish issues in Granite, Marble, Solid Surface, Quartz, and Concrete. We repair/replace all sinks. Independent Home Products, LLC is a walk-in bathtub installer / handicap accessible bathroom remodeler serving the Grand Rapids, MI area since 2007. 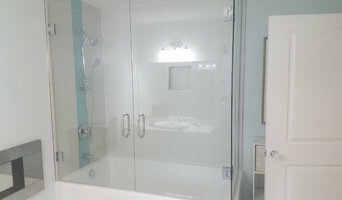 Services include Walk In Tubs, Walk in Showers, Walk In Bathtub Installation, Bathroom Safety, Hydrotherapy Walk In Tub and Walk In Tub Prices. Serving all of MI. Modern buildings are assembled, but old buildings were made. Restoring old buildings requires not only the original skills and raw materials, but also an understanding of historic design and the appropriate use of modern materials. Don't just imagine a clean and fresh look in your garage, mudroom, basement or man cave. It’s time to make it a reality! Give your home that ‘finished’ look with a high quality; industrial strength V-8 floor coating that is durable and can match any décor! Most applications are installed in ONE day, making the installation process quick and convenient. At Bruce Heys Builders, we help clients create and capture their vision of the perfect home. With a focus on state of the art design and impeccable quality, we provide our clients with a enjoyable building experience that is the foundation of our business. 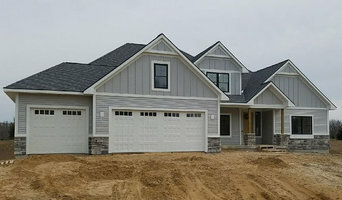 Dwelltech Solutions provides home energy assessments & improvements to West Michigan. We specialize in home performance, comfort, air quality and energy efficiency. Brainchild of builder Brian Bosgraaf, we were founded on the idea that existing homes can be fixed to be more like new when it comes to performance. Every day, our building science geeks do battle with the status quo so that homeowners can breathe cleaner air, use less energy and be more comfortable in their homes. Powell's Excavating & Septic Inc.
Our amazing team is ready to provide superior excavation of all kinds, every time! Driveways, roads, site prep, new construction, basements, crawlspaces, septic systems, drainfields, ponds, lakes, water and sewer line repairs, grading, stump removal, and dozer work. We are speciality carvers that supply the building industry with hand carved building products. We have fireplace surrounds, corbels, onlays, picture frames, beds, and many more products. Visit us at www.UltimateCarver.com and see the complete line of products. ¿Qué hacen las empresas de mudanzas en Grand Rapids, MI? Antes de lanzarte a enlucir con yeso, recuerda que un mal trabajo puede dejar tus paredes hechas trizas. Enlucir una pared es una tarea delicada que exige conocimiento y práctica. Por ello, si tus paredes necesitan una nueva capa de yeso, contacta con yeseros de Grand Rapids, MI. Los certificados energéticos garantizan que una vivienda consume la menor cantidad de energía posible y, así, favorecen tanto al bolsillo del propietario como al planeta, todo gracias al ahorro de energía. Además de este documento, los certificadores en Grand Rapids, MI también expiden certificaciones de obra, dando fe de que se está construyendo un edificio o modificando uno ya existente. ¿Qué hace un topógrafo en Grand Rapids, MI? Aunque algunas personas las confunden, la cartografía y la topografía son ciencias distintas. La primera se encarga de los mapas mientras que la segunda se centra en el terreno. Así, si lo que buscas es un profesional que te asesore sobre los terrenos de tu obra, debes contactar con empresas de topografía o topógrafos de Grand Rapids, MI. Encuentra empresas de mudanzas, empresas de transporte, yeseros, certificadores y topógrafos en Grand Rapids, MI. Mejora los resultados de la búsqueda en la sección “Profesionales” incluyendo el nombre de tu ciudad o comunidad autónoma. También puedes consultar las fotos de proyectos de los profesionales de Grand Rapids, MI para encontrar expertos que hayan trabajado en proyectos similares al tuyo.